The Marcy Stop: Watch Out! - A Giveaway! Star bound ring c/o Jewelmint, Sport Boyfriend watch c/o BCBG, Vintage belt. I don't know about everyone else but I am SO excited for 2013. True, I feel this way every January, but there's something about this year that has me believing really amazing things are in store. Maybe that's why both Lauren and I have been hitting all our favorite shopping haunts, getting our closets ready for whatever comes our way this year. And, speaking of amazing things in store, we have something for you dear readers! To celebrate the one year that we've been blogging, we've teamed up with BCBG for an awesome giveaway! Just follow the super easy steps below and you can win a brand new BCBG Luminaire watch (check out how we styled it below). That's it! Super easy. Good luck! Love your outfit, skirts are so amazing! Lauren looks lovely as usual! And what a great give away! This watch is beautiful. Awesome giveaway! Such a beautiful watch! Love this outfit. 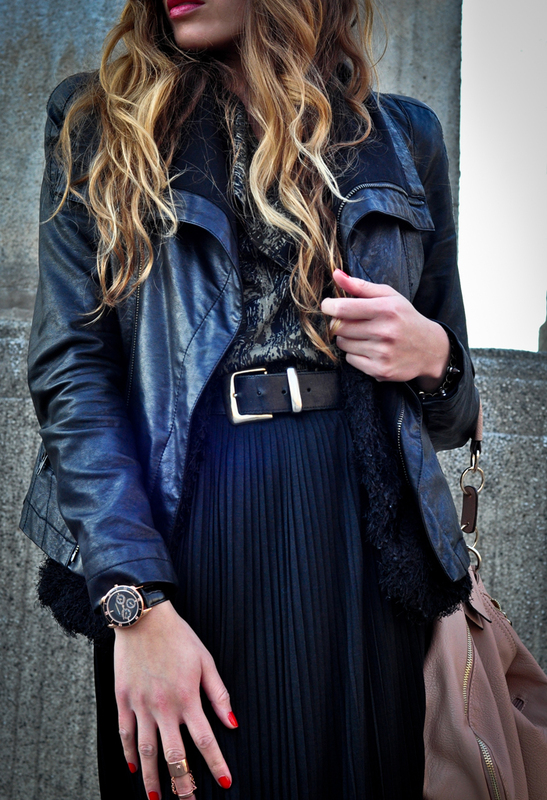 The long skirt and the watch are my favourite pieces. But your pictueres are amazing again! come enter my giveaway for a must have winter item!! Only a few days left! Also, I follow on twitter as @wearaboutsblog! Yay! A giveaway...such a cool watch, too! Folloing and Liked! love that watch! great giveaway. Love the watch!! I miss NY! Love it!! All steps done! Completed all of the steps! YAY YAY YAY!!! congrats on a year of blogging girls!!! i have been dying to add a nice black watch to my collection so i'd say this giveaway is sort of meant to be for me & that watch...ha ha! i was already following on bloglovin, just liked you on fb and i follow on twitter! fingers crossed and cheers to 2013! Love your guys' work- you're both beautiful! wonderful. i really love it. Love your outfit! That's a gorgeous watch! Yay! I love you guys. Your pics are always creative and insane, and I have so much fun seeing how uniquely you can play with clothes. Excited to enter the giveaway. hey! I also followed on twitter. Signed up for bloglovin and followed! Liked you guys in Facebook and now following on Twitter. Followed on Bloglovin', Facebook & Twitter! Followed on Bloglovin' Facebook and Twitter! 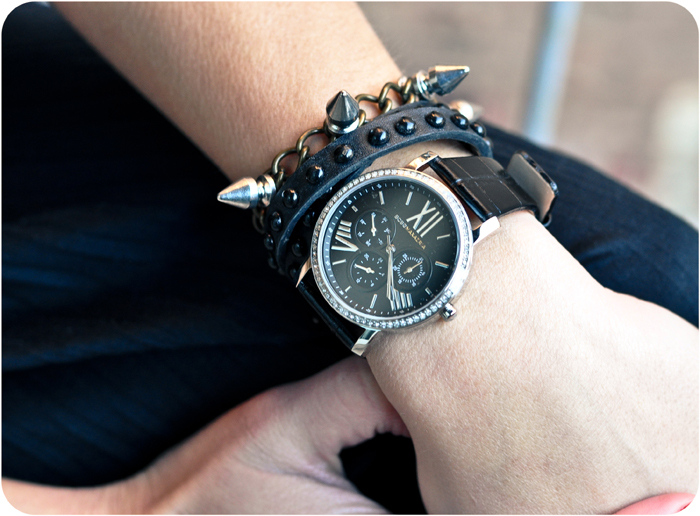 Would love tow in that watch, it's got a great face and I love BCBG.